Your career portfolio as a Registered Nurse must be stocked with all the credentials you possess. 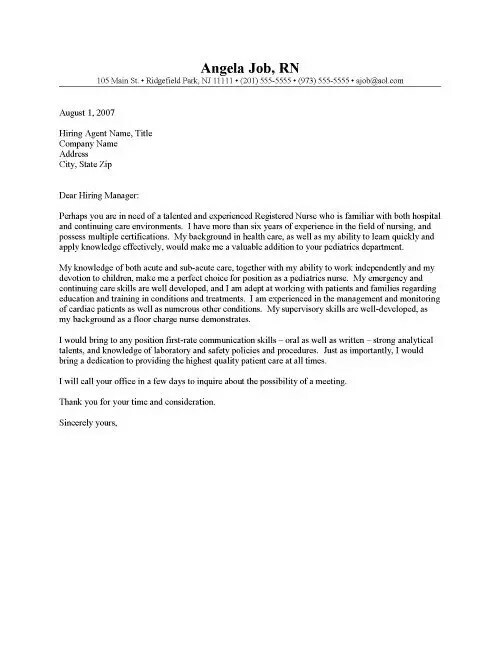 Besides a good resume, a brief cover letter is a vital part of your nursing portfolio. Your Cover Letter for RN Resume/Portfolio should be tailored as per the requirements of the employer. A small introduction must include a reason why you are sending your application for RN position. If you say, “I am a very skilled Registered Nurse with ten years of extensive experience,” use the next paragraph to support this statement with details regarding your education, training, skills and employment history. Include a solid statement at the end of your letter, such as, “I am confident I would be an excellent addition to your nursing team.” Offer to meet with the employer at their first convenience, and close with a formal signature (for example, “Sincerely,” followed by your full name and handwritten signature). State any follow-up steps you might take after sending your application. Your letter must be typed in a clear font, and it should not go beyond one page. Using high-quality paper may make your cover letter stand out. While you should always have a positive tone in your letter, you can also use the chance to showcase your personality in a method that would not stumble upon in your resume. 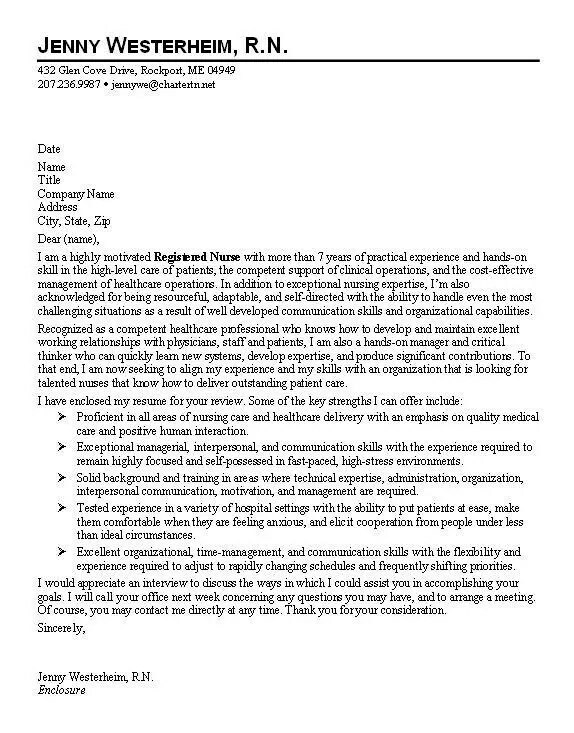 Follow these templates while writing your cover letter for RN position.